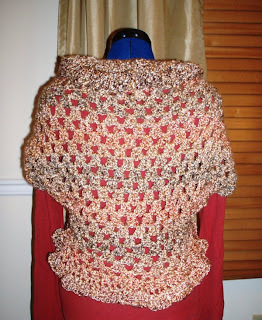 So, I have taken up crocheting. It’s so funny. 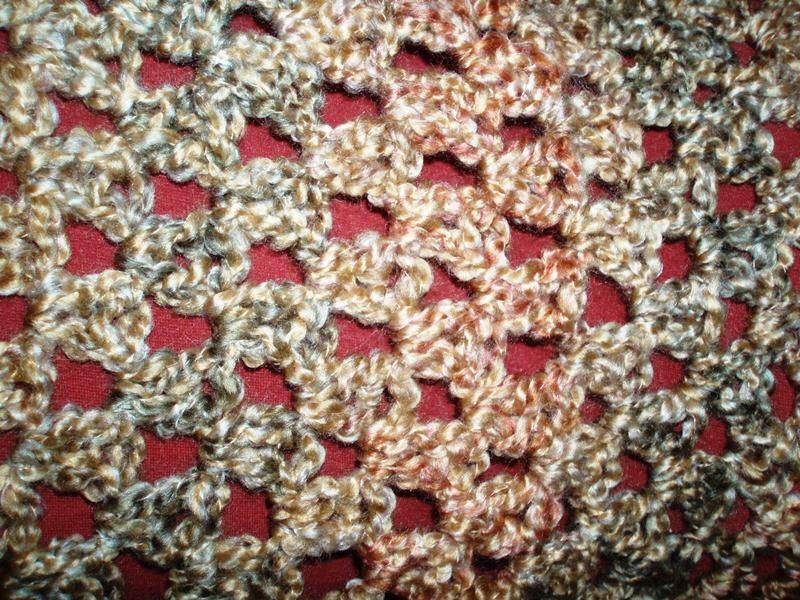 A few years ago, a friend tried to teach me to crochet. She helped me start a scarf. 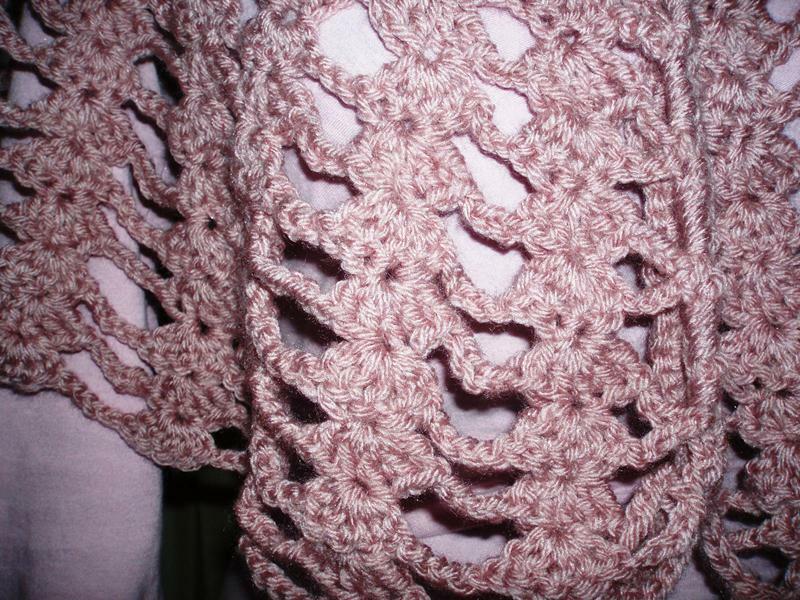 I worked on that scarf for two years and never finished it. I threw it out. 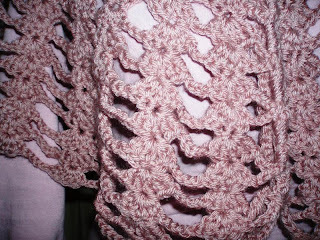 I just didn’t have any interest in crocheting. About a month ago, my Mom showed me a capelet she had made, and I loved it. Then she showed me how to make it. I was hooked, pun intended. Here it is. 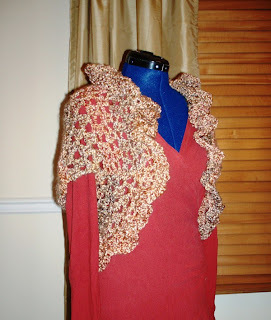 I call it my “grandma capelet,” because it does look a bit matronly on me. But I wore it with this same top to work, and I thought it looked cute overall. 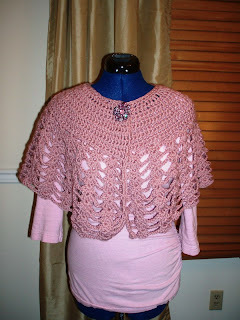 Here is my next project, a shrug. 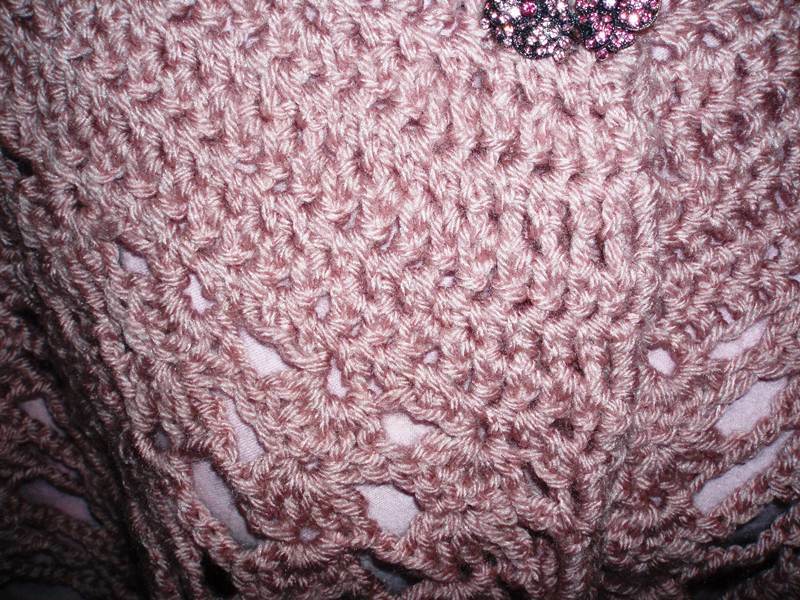 The only things left to finish are the armholes. 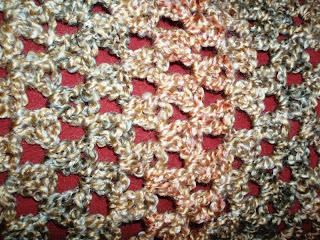 I used Lionbrand’s Homespun yarn, and it’s so soft and fluffy. I can’t wait to wear this! super ! I found your blog with an old post about amy buttler bags !! see you !! 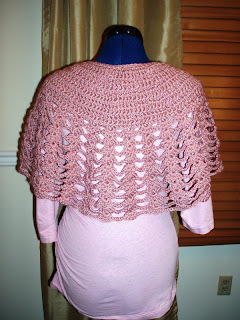 I really like the capelet. Happy New Year! Hi Krystal.- Only wish you a very Merry Christmas and a Happy New Year. My best wishes for another year full of happy sewing …!!! Beautiful and Inspiring. 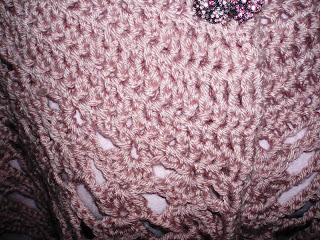 I taught myself to knit a few years ago but not having the same luck with crochet so I'm going to take lessons in 2011.